Nationwide is the parent company to many subsidiaries and is one of the largest insurance and financial companies in the world. Employing over 31,000 Nationwide’s focus is on anything financial including mortgages, auto, personal, pet and life insurance as well as asset management and investments. Revenues were reported in 2014 as US 25 billion and this was up from 2013. If you have a problems with any of your banking, insurance, mortgage or investments with Nationwide you may call 1-800-356-3442. You will find a login dashboard here to start an online inquiry. If you would like to write to the CEO, Steve Rasussen, you may address your postal correspondence to him at One Nationwide Plaza, Columbus, OH 43215. You may also call the corporate offices at 614-249-7111. Be aware of an $11.95 fee for using the ‘payment made by phone using customer service-assisted option’. Nationwide began in 1925 as an auto insurance company in Ohio and is ranked #85 in Forbes Top 100 Companies to Work For. Sponsorships at children’s hospitals and NASCAR top their philanthropic outreach. Quarterback Peyton Manning is current spokesperson and you may view his video story here. ‘Nationwide is on your side’ is the corporate slogan and you may find social media presence on Facebook, Twitter YouTube and Linkedin. On March 15, 4:50 P:M. I was on my way home after my work as usual; I drove on 80E in a two lanes of the road toward CA-99S. I was on the left lane, on which I had already been driving 200 meters before my car was hit by the car of Mr. Singh Parminder behind me. At the time of accident, I was following the whole traffic flow and was driving forward in the same lane without any change and without any distraction. After the accident, we pulled off the car on the roadside. Mr. Singh Parminder approached me and immediately acknowledge his fault. He gave me his driver's license and other documents, saying " this is my driver licence and insurance information, don't worry, I will fix your car. He sounds very co-operative, so I never expect there would be a problem and I did not call a police. On the second day, I wanted to call his insurance company and I checked the pictures that I took from his documents. I found he used his registration card fully covered his car insurance information. So, I called him on March, 16, 12:10 P:M for his insurance information. He picked up my phone and told me " I don't want to go through my insurance company, I want to give your cash for you to fix your car", I told him " No, I can not take your cash, my car damage is not minor damage, you should go through your insurance company". Then he said" OK, no problem! I will call my insurance company to fix your car". The same day, he gave me his insurance claim phone number and told me " you can call this number to ask my insurance company to fix your car". On March 18, I reported the accident to the Nationwide and asked them to fix my car as soon as possible. I was told that it was in the process and it take some days. On March 20, I called the Nationwide again, I was told it is still in the process of claim. they need to determine the liability. I asked why? the driver already admitted his fault and the accident is very obvious at his fault. 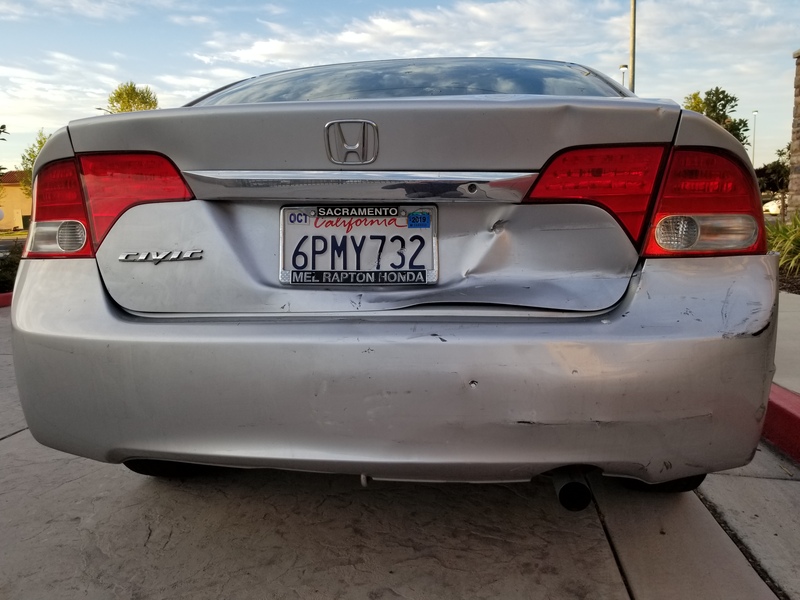 After that, I made other several calls, asked the adjuster that why it take such unusual time to make arrangement to fix my car, the adjuster simply asked me to wait and told me that it is very common for a claim to take this time. Throughout the whole process, the adjuster NEVER EVER told me that the claim was denied until April, 18 when I called her again. Attached, please kindly find the evidence of my car's damage at Mr. Singh Parminder's fault. Your kind help with this matter is extremely appreciated! I have never in all my years with insurance companies had such poor service and responsiveness from a company. This is just unacceptable especially with you being a national company, endorsed by so many people. WIth the hardship of the damage this just addes insult to injury of an Insurance Company that responds in such a way with one of their customers. I would like closure to this claim, which as of today, I've not received any further communication for Crystal Payne. I have a 2014 SRT Viper that was vandalized or damaged by an unknown party. The vehicle was driven from Texas to California on August 25, 2018, at some point during that trip while the car was left unattended, I believe someone threw or poured sand in and near the oil filler spout. The vehicle completed the drive successfully to California and parked in a secured garage of my friend’s house. The car stayed there securely until I returned on October 23when I attempted to start the car it would not start, so I contacted AAA to try to jump the battery, which was unsuccessful. I had the vehicle towed to A& C Performance in Temecula, CA where is was diagnosed that the engine was seized. After a complete tear down on the engine it was diagnosed that sand had damaged the engine's internal components. I immediately contacted Nationwide to file a claim and gave all the information I described above to Mackenzie Hewitt. I was then contacted by Stephanie McClain who was the assigned appraiser. I gave her all the information that was requested and asked if any police report or possible video footage was needed, I was told that she would let me know if that was needed. The next time I heard from Stephanie she explained that her manager Aaron was looking into the claim and he would be contacting myself and A&C Performance. After a few weeks Stephanie called and said the claim was approved and she was waiting on the estimates to get them submitted. I was then informed by A&C performance that Aaron had called the owner Todd and was hoping to send over a check the following week. The next point of contact was when I called Aaron to follow up on the payment and he explained to me that his supervisor – Pam had requested a 3rd party inspector to verify the cause of engine failure. I waited another 3 weeks to hear back from Aaron and have him explain that the claim was being denied because the inspection did not find evidence of sand. He then emailed me a copy of the report the inspectors had completed which contained fictitious information and was missing evidence and photos that were taken by A& C performance on first inspection of the engine. I believe that Aaron has taken an extreme amount of time and delayed this claim in order to provide a falsified inspection report and allow time sensitive data to be lost, (any possible video footage that could have been used as evidence) He has shown an arrogant attitude to my loss and caused me both financial loss and anxiety that was unnecessary. I am demanding that the claim be reopened to allow for proper investigation to be completed and a 3rd party inspection by an SRT Viper certified technician. I have researched the integrity of the inspectors that Aaron hired, and they have a high amount of reviews that state they are loyal to the company paying the bill and do not deliver accurate inspections. I feel that this claim was denied without proper investigation and Aaron is responsible for inaccurate information and unnecessary time delays. Been with nationwide for over 50 years. Truck broke down in York, pa. in a public area with a lot of garages around. Called for roadside assistance at 4;15 pm. after several phone calls and excuses we sat in our truck till 9;00 pm till tow truck came. This is totally unexcuseable and i'm in the process of insurance shopping. My car caught a flat tire I was stuck in a parking garage for 2 hours waiting for a tow truck to help me. 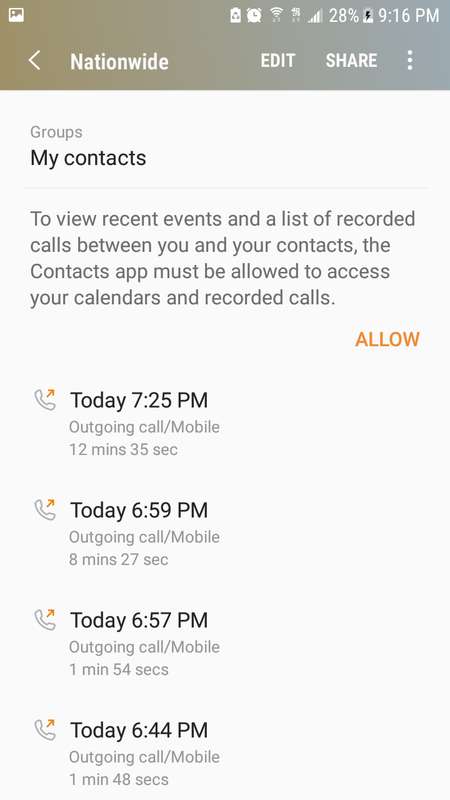 I called at 4:30 p.m. and I waited two hours for the tow truck to come.finally I called and a nationwide representative told me that the company cancelled no one called me. No one from Nationwide told me that the tow company canceled I had to call back after 2 hours of waiting. When I paid for my semi-annual insurance that now expires March 26, 2018, the agent asked how many people were at the house and wanted names. Kinda abrasive. Anyway, they said the owner of the house would have to sign a form to declare they were not allowed to drive my vehicle. They sent me the form, Laurie signed it and I sent it back to them. I heard nothing from them for five months. Two weeks ago, I get a letter explaining to me that they would cancel my insurance if I did not have Laurie sign this reference form I had her sign before and sent back to them. So I call the toll free number and get this lady. I told her I had Laurie sign this form and I sent it back to them. She then told me they sent me the wrong form. I asked her if she could send me the correct form and I will mail it back to her with Laurie's signature. She put me on hold for ten minutes which I proceeded to hang up and call Nationwide again. I get this guy and go thru the entire process again and he tells me I need to give him Laurie's email so the form can be directly sent to her. I thought at that point this company was going a little to abrasive. I asked him when the insurance expired, thanked him and hung up. The first lady calls me back and explains she is sending me an email in which there are three forms Laurie needs to sign and get back to her. I got the email, but it was only one form where two signatures were need on the same form. The signatures asked for the policy older in both cases. I signed them and sent back via email (dse@docusign.net. I even corresponded by asking is this what you need and you said you were sending me three documents to be signed but you only sent me one. I get NO REPLY. So yesterday, Jan 27, 2018, I get this letter in the mail that they are canceling my insurance effective March 26, 2018. What a loser company with loser agents. Inconsistent, inept, treating the customer as if they are the ones at fault. Talk about a headache. If you want a migraine, then by all means choose this company as your inept, unqualified insurance company with agents who are educated to handle your issues completely at their own discretion. My GOD !!!! Are you people on DRUGS !!!!! Or are your agents attempting to sabotage your company because their Aunt Elda owns a competing insurance company. I don't know what it is, maybe they drink excessively before they get to work. You tell me why I am treated like this. And you dare to threaten me with a cancellation notice. Sorry folks, my driving record is clean. I have 780 credit rating and I have never been late with payment on anything ever. I am not a criminal. All I am is someone who wants to listen to someone selling insurance that has their head screwed on correctly. Is that too much to ask. Why would one of your agents in New York take pictures of a flowering plant and send it to the police and call it marijuana? Why would you as a company want this kind of action to be used to hurt or injure a paying customer? I could understand if they seen a meth lab, I could understand if they found a client selling heroin but marijuana really? Marijuana is a beneficial medication that has been wrongfully outlawed by the federal government for the sole purpose of discrediting and persecuting minorities and college students by Richard Nixon and other law makers. Is Nixon the kind of man you want your company to be aligned with? Is this the kind of law you really want to enforce? It is salvation for those suffering from epilepsy, cancer, and a hundred other diseases and ailments. Why on earth wold one of your agents want to try to totally destroy the lives of a paying client even if it really had been marijuana. If this is company policy, you are wholly on the wrong side of justice. If it was the work of a single agent and not company policy, are you going to get rid of said agent? No comment is completely unacceptable on this issue. You don't need to come out on this particular case in New York but you had better come out on company policy concerning marijuana in general... If you do not, non action will cost you even more. I am a 60 years old and disable and on a monthly income, why does my Insurance keeps going up, I now pay 163.00 monthly and I call and asks why and all they tell me is because of all the claims they have, why should my ins go up because of someone else's fault, I can't afford the rate increase on my income, please help me out, why can't it be on a lock rate for good drivers like myself. My wife was in a accident with one of your insurer on 3-8-16 and the claim has not been settled. My wife called Caitlin Golesh on 4-4-16 and she told my wife that they have not been able to contact Mr Geyer either by phone or mail. Mr Geyer backed into my wife's car and than fled the scene. Ms Golesh wants us to contact our insurance and have them pay for it, but that is never going to happen since Mr Geyer was at fault and than fled the scene. Your advertisement states how your always on your side or is that just for your insurance holders., if that's the case than you should state that in your advertisement so it doesn't look like half truths. I received a text notice that my Nationwide Insurance payment was return on Friday. I went to local agency on Monday and made the payment of 1,368.00? The agency said computer was down and then later on she called me and put payment in system. She said the system had showed policy was canceled but put payment in anyway. I called the 1-800 customer service number to make sure payment was received and policy was NOT canceled. I walked into my local nationwide office since I already am a customer of nationwide looking for 3 separate quotes on existing policies. Having never spoke to this person before I was greeted with" why you looking for insurance were you dropped or something"? That was enough for me. To make that assumption about me without even knowing the facts. Maybe I wanted to add/increase my policies. Guess what I filed a complaint at that office. Aaron landis, Quakertown pa. and with you. I am now switching my policy to State Farm. The reason I went in is simple. My agent retired and I wanted to meet someone to give them my business. Well, I did. State Farm. Good day, I hope Mr. Landis is happy. His non human secretary just lost him my business. From a former consumer of nationwide. I had a policy for my home and automobiles through nationwide back in 2015. The rates continued to raise every 6 months with no validation and I ended up canceling my policy. I was never late on a payment and always on time. I checked yesterday on my credit report and I had a bill from nationwide sent to a collection agency. When ins. is payed it is payed in front before the coverage. So when I canceled my policy I should have got a refund instead nationwide billed me more. WHY? And then to top it off never sent me a bill to pay or even dispute. No, I only find out about it after it hits my credit report. I would like so information regarding your actions and why this comes back on me. The policy number I got from the collections agency where I paid the balance that I should not have owed? I want my complaint addressed. I called the Nationwide 1800 number without success too! I was shocked and dissapointed at the Nationwide Insurance Super Bowl commercials this year. As a friend pointed out "This is an ad for insurance...so, does insuring your child make their death any less traumatic." Yes, there is a safety website associated with the commercial, but that's not the first thing that comes to mind when you hear "Nationwide Insurance". The images of the children dying was incredibly morbid and there's not place for that during a family friendly event like the Super Bowl. I understand they were trying to draw awareness to something different but wow just wow! Is nationwide really "on your side"? I have heard the great jingle, I think we can all hum it in our heads. But it certainly doesn't mean that anything has changed here. 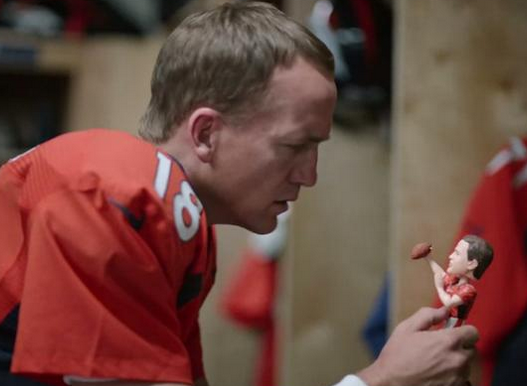 The Peyton Manning commercial was pretty funny to me, but I just don't know much of anything about this company. I think that is what really bothers me about auto insurance companies and their reviews online. It's more about how we feel and the commercials vs. the claims, the premiums, and the customer service. I am really getting tired of the Nationwide commercials, maybe if I write a letter to the corporate offices in Ohio they will stop that annoying jingle? It makes me NOT want to purchase insurance from them ever. Have feedback for Nationwide Insurance?